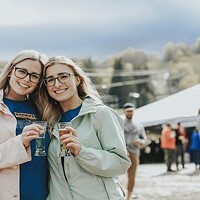 As part of our ongoing commitment to nourish and support the creative, cultural, and economic life of the Hudson Valley, Chronogram helps promote organizations and events in our pages each month. Here's some of what we’re sponsoring in August. 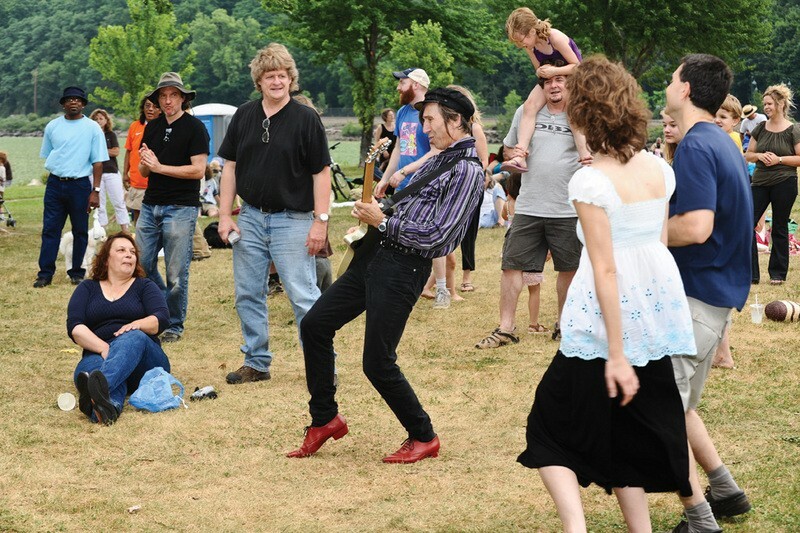 Keith Streng of The Fleshtones rocking out on the waterfront at Beacon Riverfest on June 26. 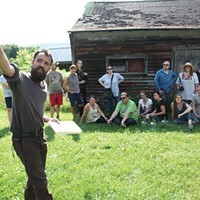 Common Greens mobile farmersâ€™ market at the kick-off event for their second season on July 9. 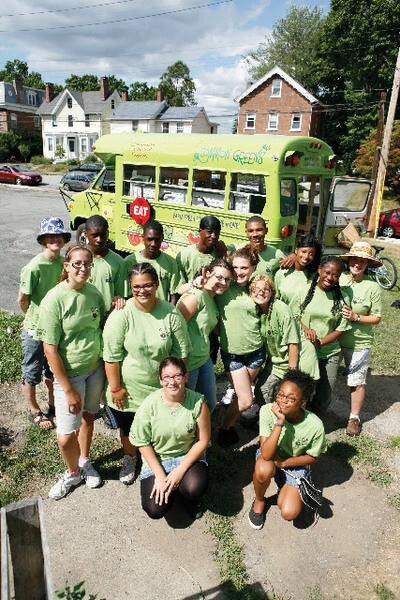 A partnership between Common Ground Farm and the Green Teens Community Gardening Program, Common Greens brings affordable, fresh produce to Beacon residents. 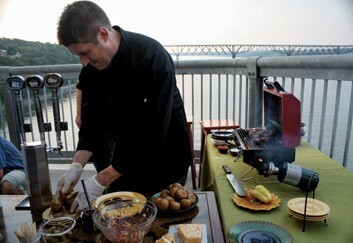 Noah Sheetz, executive chef for New Yorkâ€™s Governorâ€™s Mansion, grilling on the Mid-Hudson Bridge for an episode of â€œGreen Peas TVâ€ (www.greenpeastv.com).